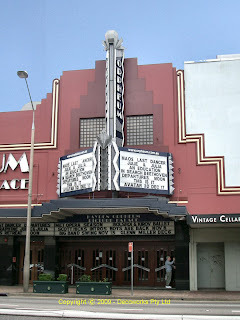 The Empire Picture Theatre building at 303 Cleveland Street, Redfern, is historically significant as it illustrates the changing nature of leisure, entertainment and commerce in the inner city over the course of the 20th century. It was built as the Palace Skating Rink in 1890 and by 1895 was a Swimming Baths. In 1905 Petchell F and Co, boot manufacturers were in residence and in 1917 the Eclipse Printing Company called it home. 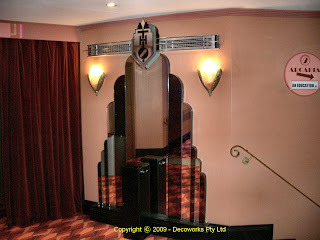 It became the Empire Picture Theatre in 1930 and in 1933 was owned by George Harold Towart of Enfield, Showman. 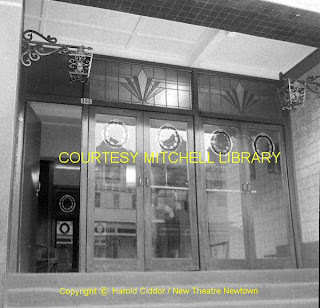 In 1961 it was known as 'The Stage Club Limited'. Today nothing is left inside and the space has been gutted and converted into commercial office space. 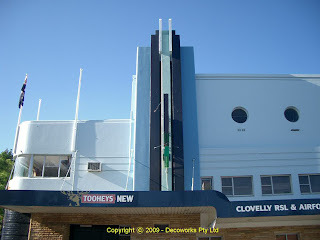 The Cleveland street facade has been modified (I would guess by George Towart?) 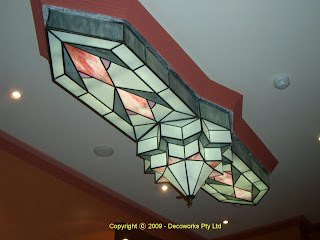 into a stylised, post-modern interpretation of Art Deco motifs giving it a monumental character. It had apparently been "colourfully painted" however today it is quite muted. 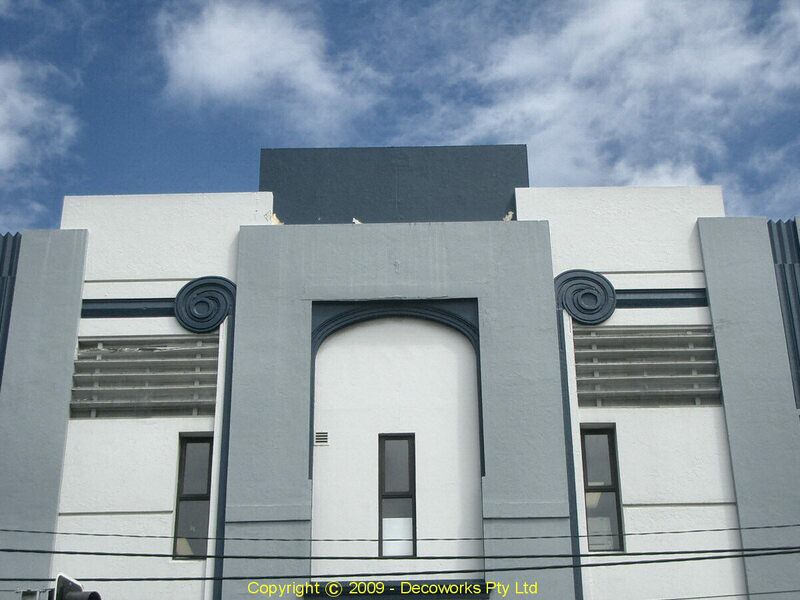 The rear of the building (in James street) still has the imposing original facade in the Federation Free Style Classical style. 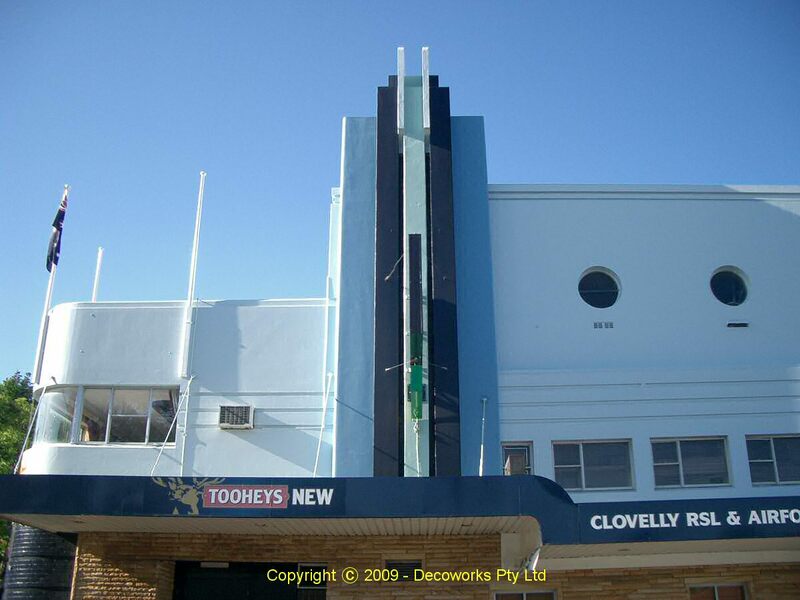 One Newtown landmark which has undergone many changes during the 20th century is the site of the former Burland Community Hall at 222 King St Newtown. In the early 1900s the site was occupied by the original Hub Theatre. 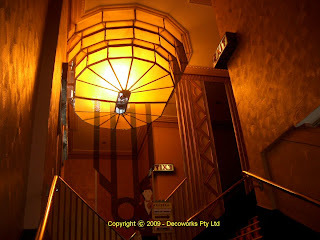 From the mid-1900s it was occupied by an Art Deco-style cinema operated by the Hoyts cinema chain. 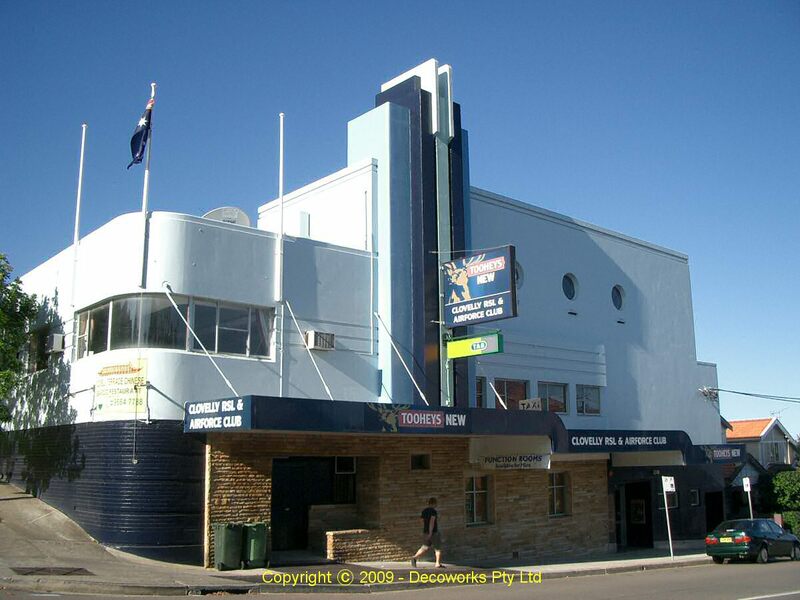 In the mid-1960s the cinema was converted into a community hall and it was renamed Burland Community Hall in 1965. 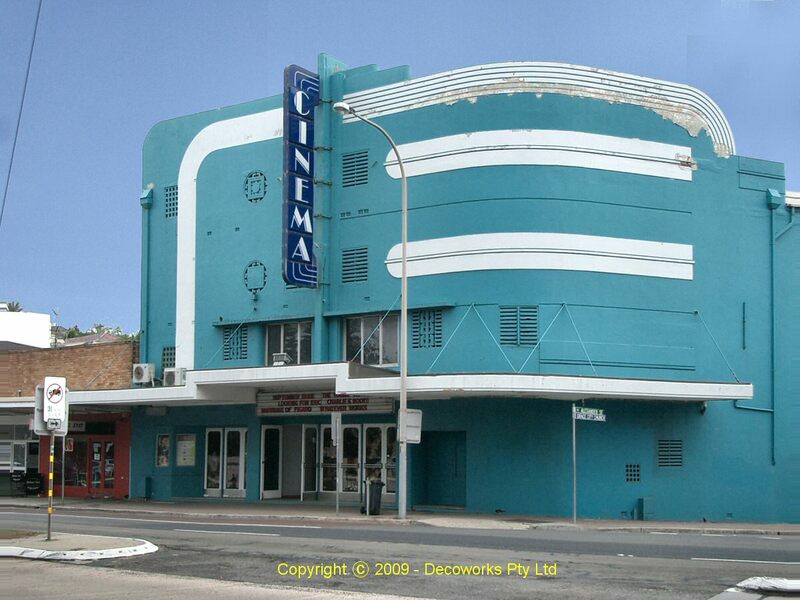 For many years it was the venue for community events such as dances, concerts, film screenings, meetings, parties, wedding receptions and a community market. 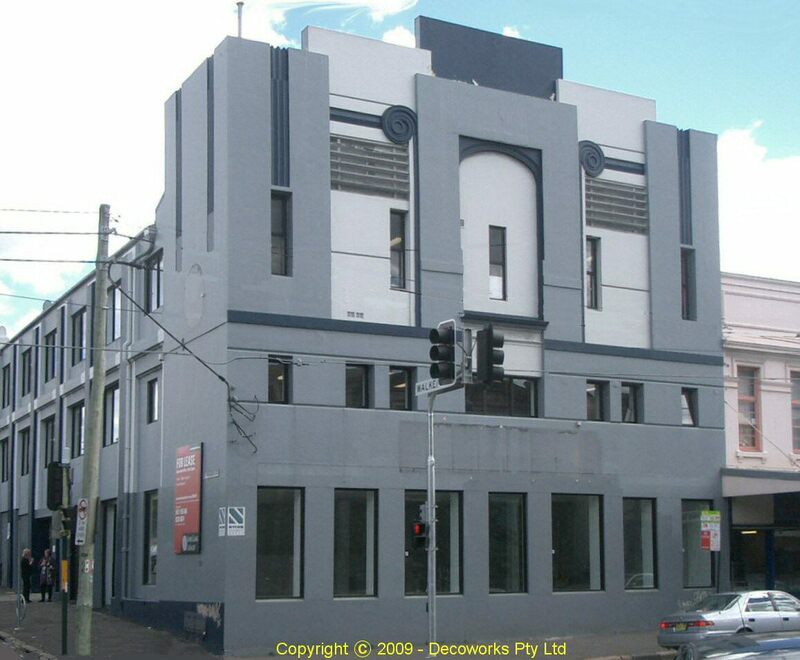 From 1986 to 1995 the upper floor of the hall was the Newtown branch of the City of Sydney library network. After the library moved to new premises Burland Community Hall was redeveloped into offices and retail premises. 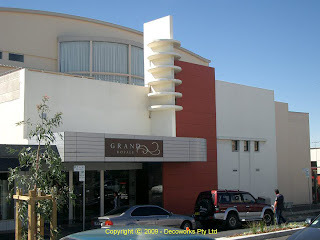 Chateau Blanc is an old Art Deco theatre located at 57-61 South Street in Granville. 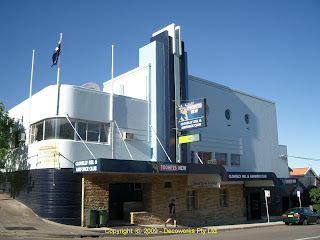 It was rebuilt as the Granville Hoyts Castle cinema in 1947. 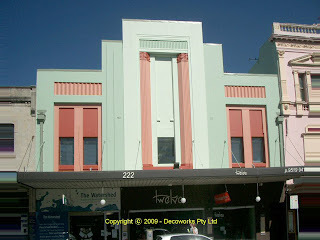 It was designed by Cowper, Murphy & Associates and built by A.W. Edwards. 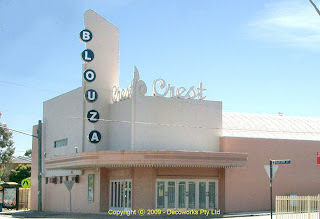 Both the Castle cinema and the Crest Cinema in Blaxcell Street were built in the late 1940s utilising a Quonset design emerging from wartime construction methods. 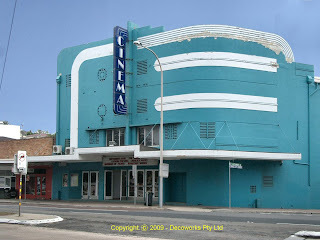 The new cinema opened 26 Dec. 1947 and closed Oct 1959. 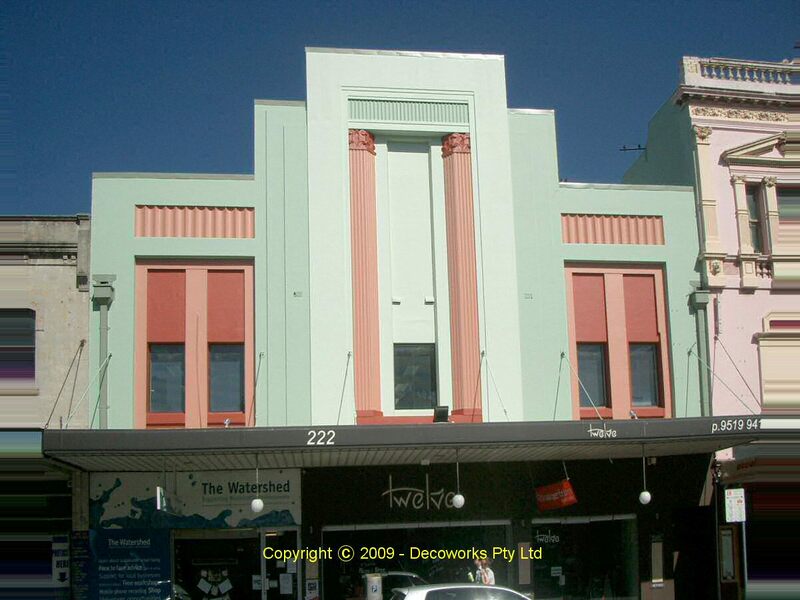 It was later used as a supermarket and a reception centre. All that is left today is the facade. Extensive additions have been made to make it into a large function centre known as the Grande Royale. 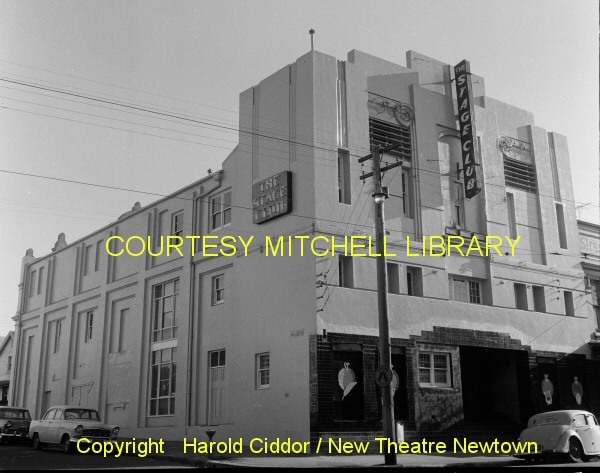 The Crest Theatre, located at 157 Blaxcell Street Granville, opened at Easter, 27th March 1948. It was designed by the architectural firm Cowper, Murphy and Associates in the Post Modern style. 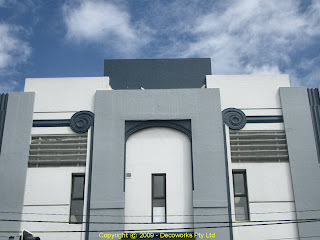 It had an imposing corner entrance that had a slender fin-tower feature. Inside the auditorium, the seating was on a stadium plan with a raised stepped section at the rear instead of an overhanging balcony. 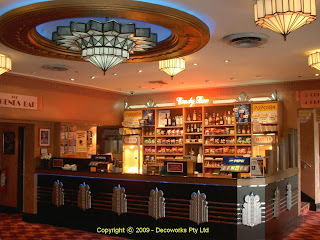 It was operated by the Hoyts Theatres chain for its entire cinematic life. In it last years it was only open one day a week on a Saturday. The final closing date was Saturday 24th August 1963. 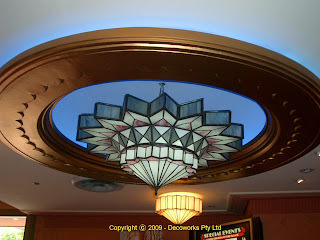 After closing as a cinema, it was used as a bingo hall. The building is currently used as a public hall. It is listed on the National Register of Historic Buildings. 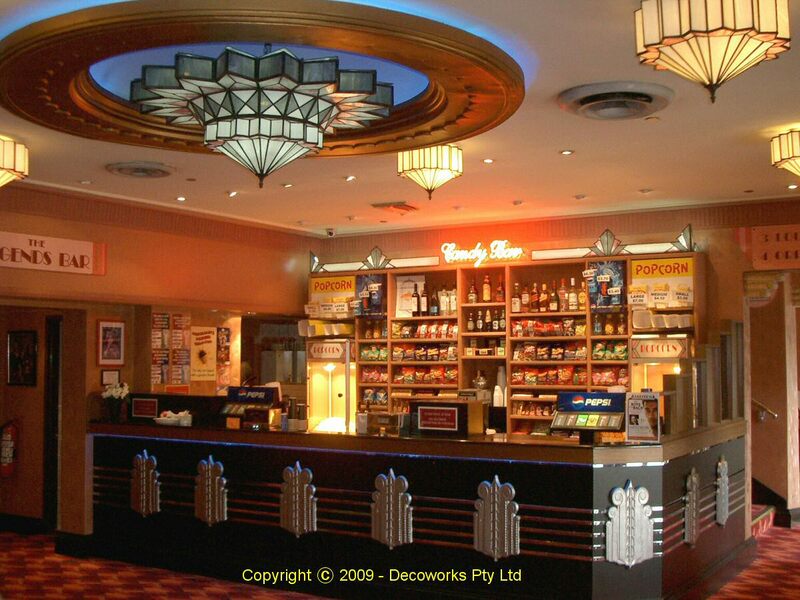 The Collaroy Cinema is located at 1097 Pittwater Road in Collaroy. 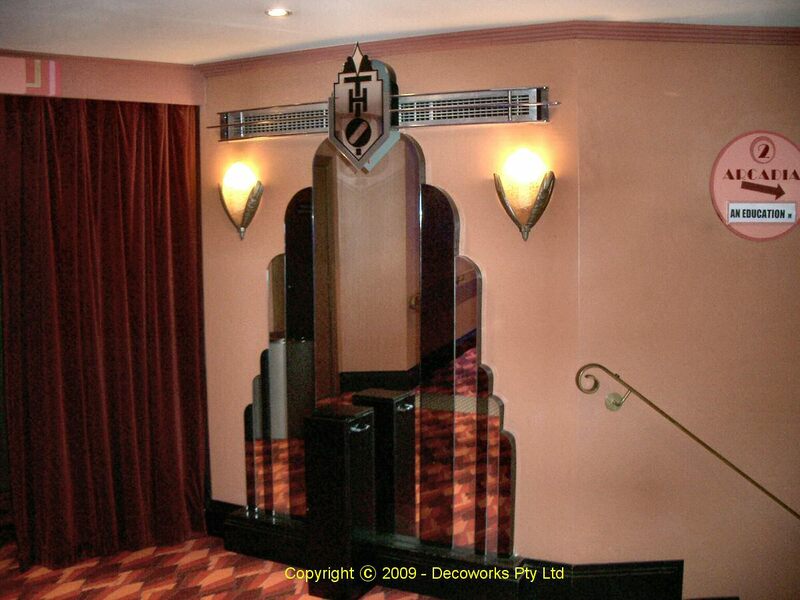 It is a rare surviving example of an interwar Art Deco cinema built in 1938 to a design by J.C. Rennie Bartle. The builder was C.A. Bullivant. 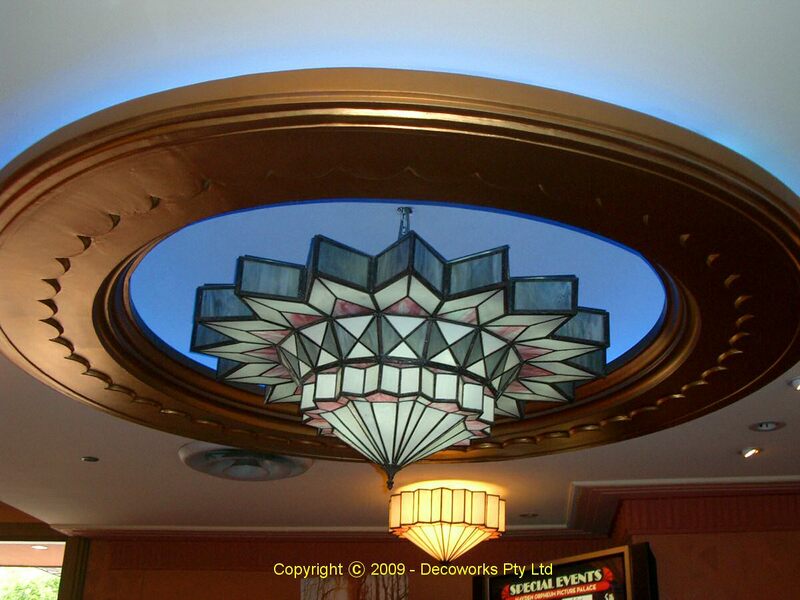 The Collaroy Cinema was built for Casmi Theatres Pty Ltd who wanted "a modern theatre with all the features...considered essential..."
They obviously achieved their goal leaving future generations with such a fine example of a classic Art Deco theatre. It was originally called the "De Luxe Theatre". 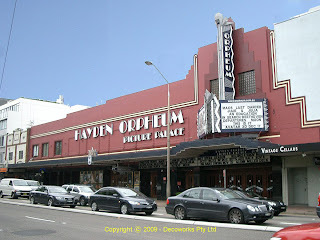 The Hayden Orpheum Picture Palace at 380 Military Road in Cremorne is the jewel in the crown of surviving Art Deco cinemas in Australia. Listed in the RAIA Register of Significant 20th Century Buildings the theatre was built in 1935 and designed by G N Kenworthy and built by by Angelo Virgona. 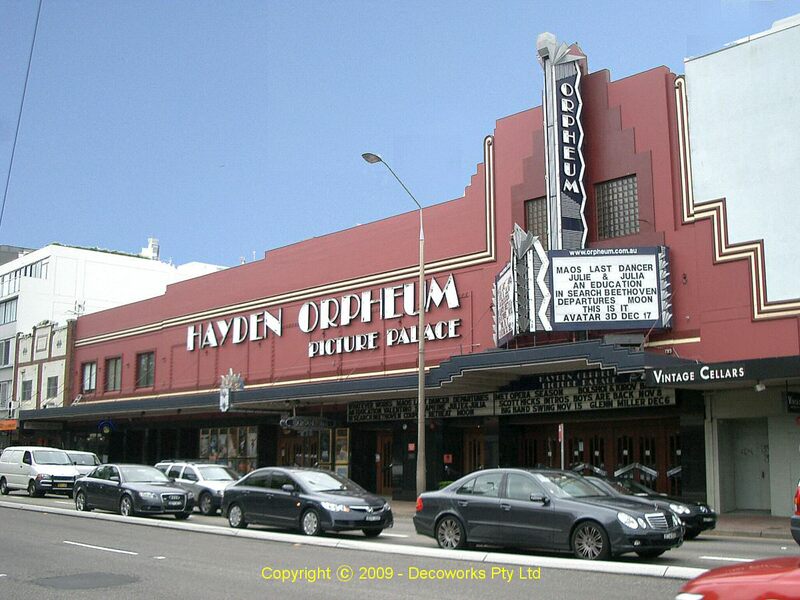 In December 1986, Mike Walsh bought the historic Cremorne Orpheum under his company Hayden Theatre Pty. Ltd, initially spending $2.5 million on its restoration. It was reopened in December 1987. The Orpheum's interior replicates all the original art-deco fittings, color schemes, lighting and design. 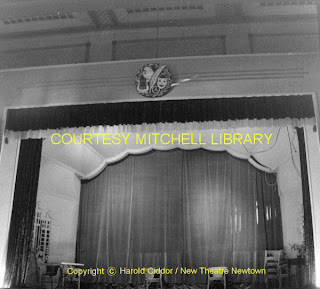 The outstanding namesake "Orpheum" auditorium has a Wurlitzer pipe organ that raises and lowers through a trapdoor in front of the screen.